Linda Ofori-Kwafo, Executive Secretary for Ghana Anti-Corruption Coalition says the country is losing out on the fight against corruption because government has failed to implement laws that would serve as deterrent for people engaged in the act. According to her until Ghana is able to implement laws, prosecute corrupt officials and recover stolen assets, the country would not make any headway in the fight against corruption. 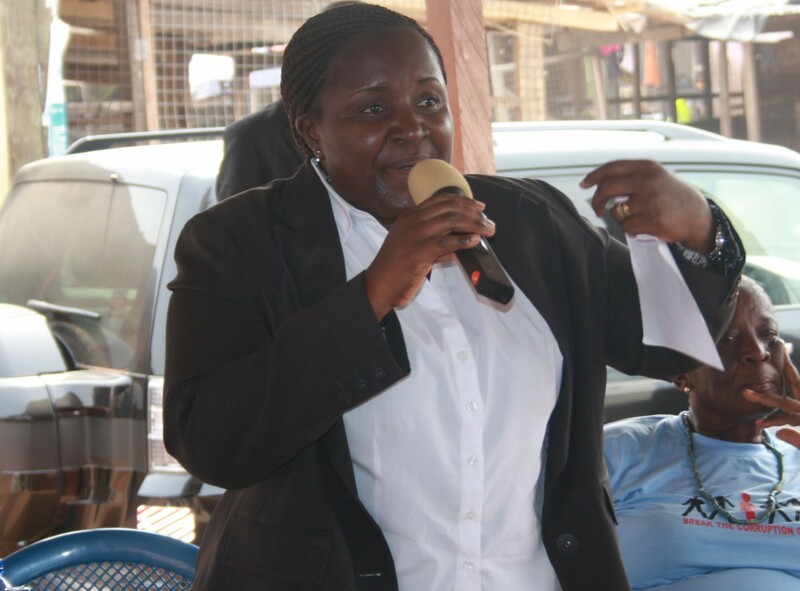 Speaking at a public outreach for Market Women on corruption to commemorate the 2015 International Anti-Corruption Day at the Mallam Attah Market in Accra on Wednesday, the Executive Secretary of the civil society group stated that every year Ghana performs poorly anytime she partakes in an assessment on corruption due to lack of mechanisms to curb the act. She consequently called on government, the citizenry and institutions to use the United Nations (UN) International Anti-Corruption Day to assess the negative impact corruption has made on the country and its development and make a resolution. However Mary Awelana Addah, Programmes Manager for Ghana Integrity Initiative (GII) argued that though Ghana was losing out in the fight against corruption, the country was doing a great job at exposing and unmasking corrupt officials. “But from the collective effort of government, we still have a lot to do on that front. When corruption is exposed in Ghana, it takes a long time for different committees to be setup and for a long time for reports to be released and when they are released we are even not made aware of what exactly they contain,’ Mrs Addah grieved . She lamented that government’s effort to disseminate information on corruption and the enforcement of recommendations from such committees to the citizenry and media has not been good. Meanwhile the Queen Mother for the Mallam Attah market, Asafo Anye Ogbedai II said corruption was not created by God but manmade. She urged the market women at the Mallam Attah market to desist from giving bribe or receiving bribe from anyone.